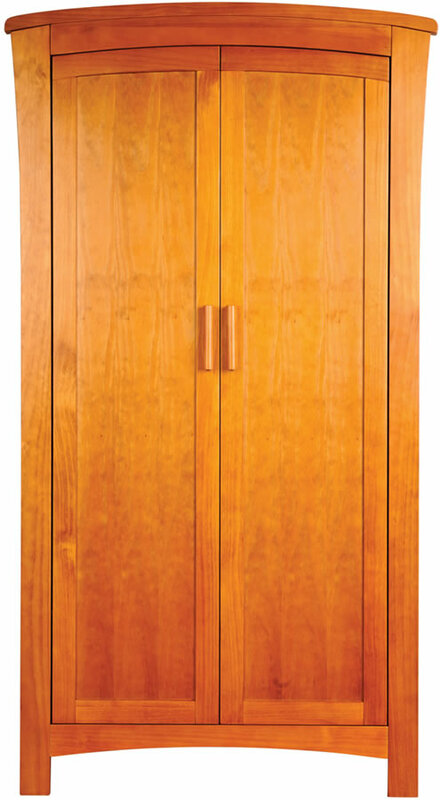 The Sweet Dreams Felix children's 2 door pine wardrobe features a traditional design in a antique finish. For storage the Felix wardrobe internal layout offers two full width shelves and two hanging rails. This two door traditional nursery style wardrobe is finished with vertical wooden door handles and has matching furniture available.